Since we have such an active community of armchair oceanographers and spreadsheet Glaciologists here, I thought it would be useful to speak to the real thing, the people who actually spend time on the ocean, on the ice sheets, do the measurements, and come back to share that knowledge with us. I had just that opportunity at the American Geophysical conference in December. I spoke to Josh Willis, Oceanographer with NASA at the Jet Propulsion Lab – Josh is one of best known young ocean scientists on the planet. He pointed me to the recent Kemp et al study of tidal marshes on the US East coast, which has produced a long record of sea level over the last 2000 years, complete with a very Hockey-stickish uptick during the last 200 or so. 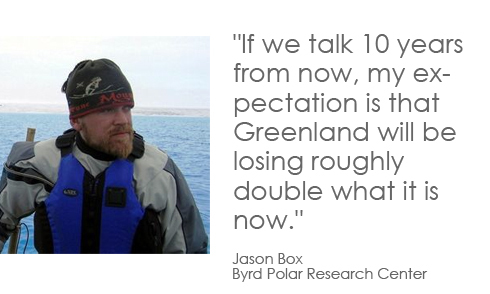 Jason Box of the Byrd Polar Center at Ohio State was there, presenting evidence of acceleration in Greenland ice loss over the last 200 years. I round out the video with takes from old pros lead NASA scientist Jim Hansen and Admiral David Titley, the US Navy’s Chief Oceanographer. 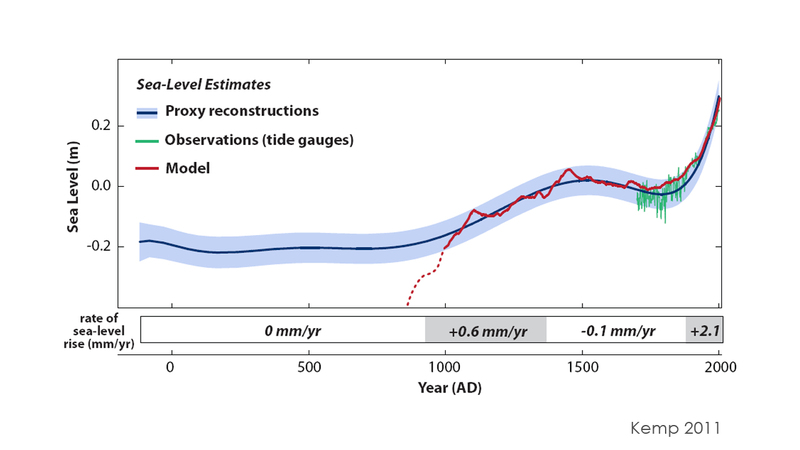 Skeptical Science – Is Sea Level Rise Accelerating? “Sea levels will eventually be two hundred feet higher” You forgot isostatic rebound, true it will take millenia but it will be fastest during the initial plastic phase. « Dog Bites Man. Clueless Journalists follow herd mentality. Film at 11.